MONTHLY FOCUS: Jesus loves you. This month we are learning, “Jesus loves you.” We read the story of Jesus and the Children in Luke 18:15-17. Jesus was teaching a crowd of people and said, “Let the children come to me.” He held the children and He told the crowd to never stop children from coming to see Him, because children are very important to God. 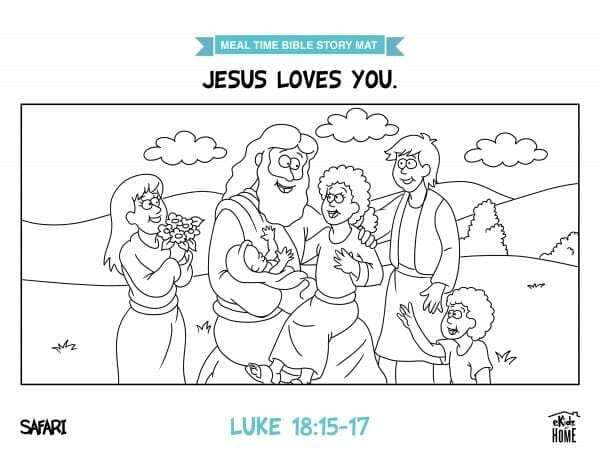 Jesus loved the children in the Bible story and He loves us, too.